Battery tie downs for Hondas have been available in the aftermarket for more than a decade. Even now, there are still a handful of companies making these but they all seem to be missing something… Nobody ever includes the hold down rods or new hardware for installation. So unfortunately, you get a new billet top bracket and install it with the old, original and rusty hardware. This just doesn’t make much sense. Add that most of these brackets are very cheap and unattractive. In true K-Tuned fashion, they have designed the best and most complete battery tie down kits available. 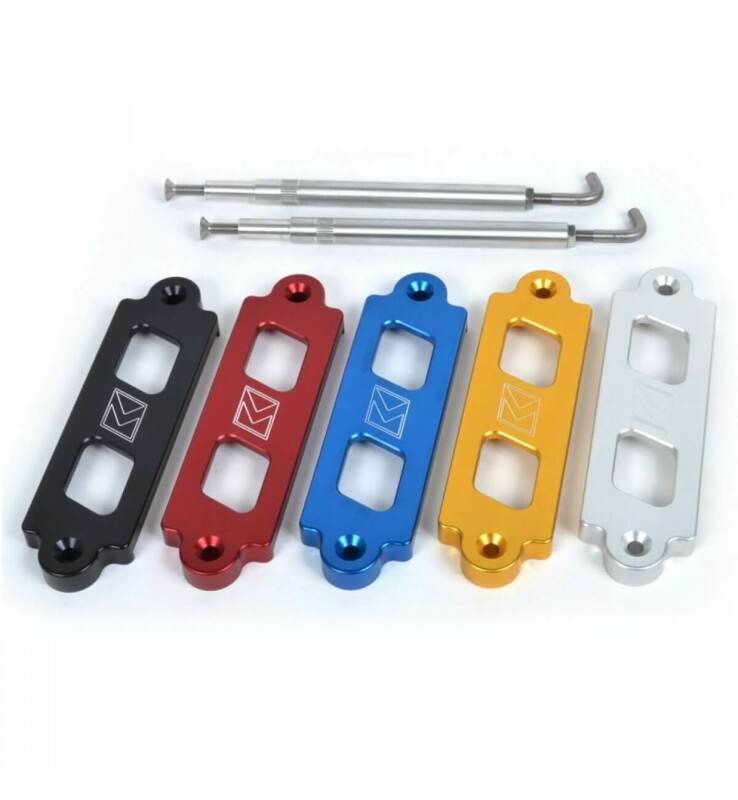 K-Tuned don’t just sell the precision CNC cut, 6061 billet bracket with their signature logo on it. They went a few steps further and have designed 100% complete kits that also include 6061 billet hold down rods with stainless tray hooks and stainless hardware.